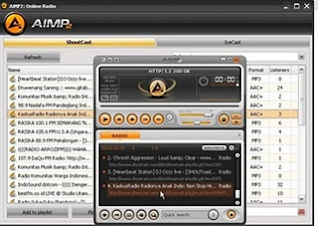 Previously I would introduce a software audio player that related with this post; AIMP2. 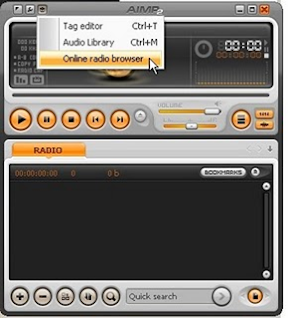 An audio player software that is light and highly efficient way to play audio files than similar software such as Winamp which a little bit heavier. 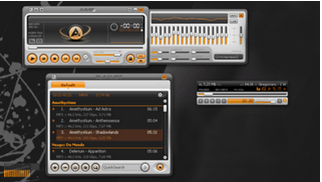 I recommend this software for music lovers on your computer if you want to hear the real audio file quality. 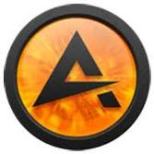 "Fast loading , quick search features, and more efficient in cpu usage are my excuses for using the AIMP, besides AIMP can to play streaming audio, or simply the term" online radio "
1.Internet connection (obviously) with speed average approximately 230 kbps and above. 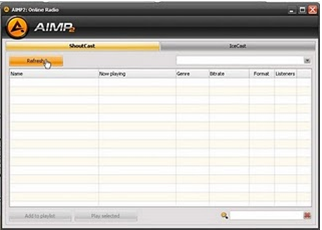 2.AIMP, Download the installer here http://www.aimp.ru/index.php?do=download, it just under 10 mb. "Once the software was installed AIMP AIMP run, and make sure your internet connection is connected!" AIMP-In navigation menu, click "Online Radio Browser"
-At the menu: Online Radio, choose your radio connection type "Shoutcast" or "Icecast", choose one. And then click "Refresh"
-Wait for database processing, not in a long time, you'll see radio station list, there are many genres of radio station, choose which one that you would like to listen. 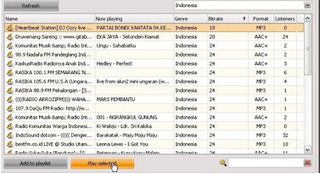 - There are many radio station genres; music, talkshow and international radio. - Click "Play selected" if you want to play it. Have a nice try !